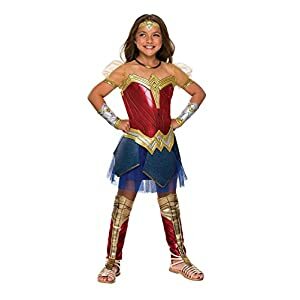 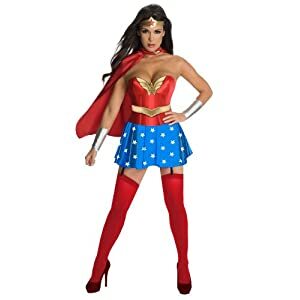 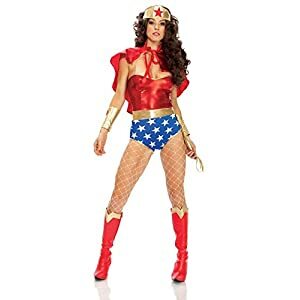 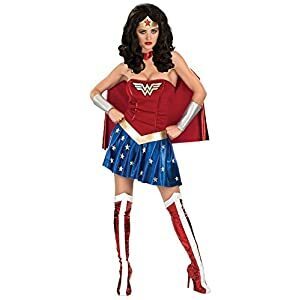 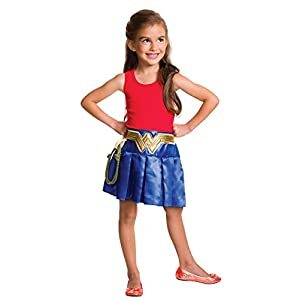 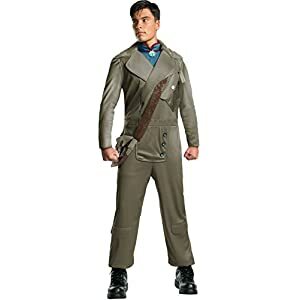 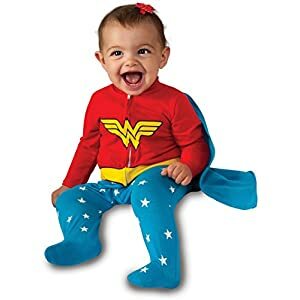 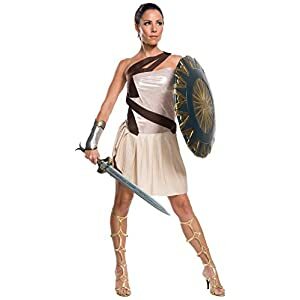 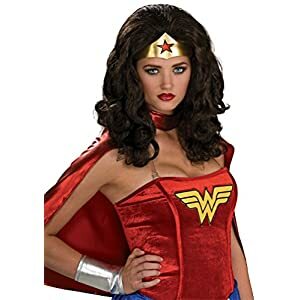 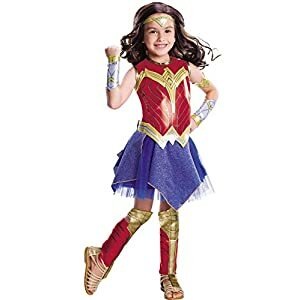 Officially licensed DC comics wonder woman costume and wig from secret wishes. 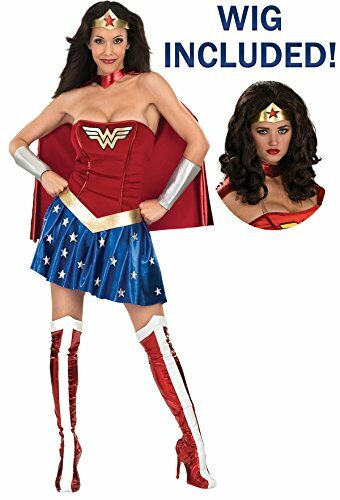 Flirty red, white, and blue strapless mini dress with corset style top plus fabric gauntlets, headband, cape, boot covers, and wig. 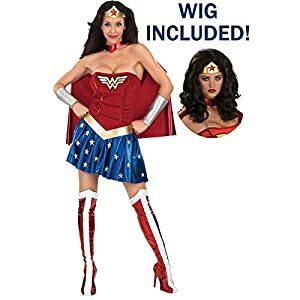 Salon quality wig is adjustable and breathable, recommended to be worn with a wig cap (not included). 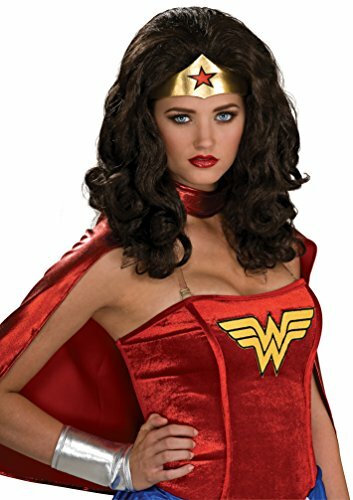 Wig can be washed with shampoo and is made of kanekalon, a silky-soft imported fiber with a real hair feel. 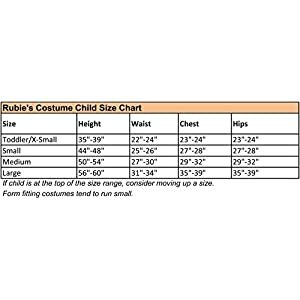 Costume sizing is different than apparel, be sure to review the secret wishes chart to determine best size for you.